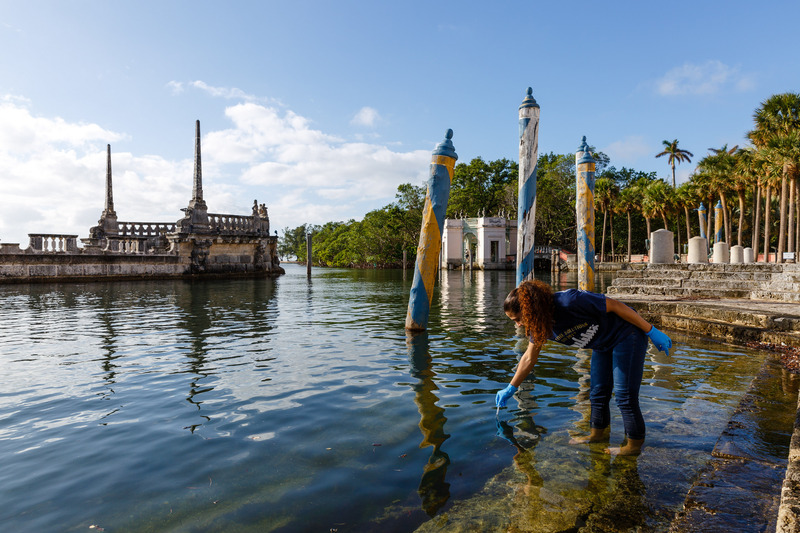 FIU deployed more than 100 citizen scientists to investigate whether flooding from the most recent King Tide in October was bringing saltwater or freshwater inland to urban areas. The findings could provide critical clues as to why such unusual flooding is occurring in South Florida, what areas are most at-risk and whether the frequency of these floods could be increasing. The community project was organized by the FIU Sea Level Solutions Center in the Institute of Water and Environment along with the School of Communication + Journalism as part of an annual Sea Level Solutions Day at Vizcaya Gardens Garage. The King Tide is the highest high tide of the year, and with rising sea levels, the tide has been going further inland, causing major urban flooding. The new data will be used to create a database of urban flooding for the Miami area. Troxler said the database could help local government officials and scientists address many of the key issues Miami faces in the face of rising sea levels. The event was supported by the FIU Miami Beach Urban Studios, The CLEO Institute, Miami-Dade County, Code for Miami, the City of Miami and Vizcaya Museum and Gardens.